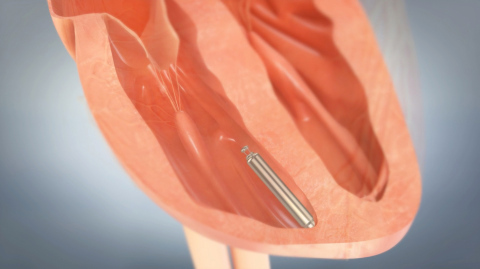 St Jude Medical has reported the first US implant of its Nanostim leadless pacemaker, the first miniaturized device that removes the need for leads. According to the company, the first implantation, performed by Dr. Vivek Reddy at the Mount Sinai Hospital in New York, is part of the Leadless II clinical trial. The device is less than 10% the size of a traditional pacemaker and is implanted via femoral vein with a transcatheter. Unlike standard pacemakers, the Nanostim does not use wire leads to connect its electrical generator with the heart. The LEADLESS II pivotal trial, a prospective, non-randomized, multi-center, international clinical research trial is designed to evaluate the safety and effectiveness of the Nanostim leadless pacemaker in patients indicated for the device. The trial is being conducted under an Investigational Device Exemption (IDE) from the FDA, and will enroll approximately 670 patients at 50 centers in the US, Canada and Europe. St. Jude Medical chief medical officer and vice president of global clinical affairs Dr Mark D Carlson said since the introduction of the first implantable pacemaker in 1958, pacemaker technology has continued to evolve into smaller, more efficient devices. "Despite this evolution, pacing technology has, until now, required surgery in addition to leads that connect the pacemaker to the heart," Dr Carlson added. The CE Marked Nanostim leadless pacemaker is now available in select European markets but is not available for sale in the US. Image: Nanostim leadless pacemaker Photo: courtesy of Business Wire/St. Jude Medical, Inc.